Bishop Levy H. Knox is an anointed statesman, teacher and preacher in the Body of Christ. He is called to proclaim the Lordship of Christ and His Kingdom throughout the earth. The Spirit of God rests mightily upon him and the anointing enables those who hear and receive the Word of God in present truth, to awaken to the power of God and His predetermined purpose for their lives. Bishop Knox is one of God's chosen vessels with a vision to see the Body of Christ equipped, empowered and mobilized for global Kingdom impact. Bishop Knox is the founding Apostle/Overseer of Living Word Christian Center. This ministry began in 1985 with an unchanging vision to communicate and demonstrate the gospel of the Kingdom in every sphere of life. What began with a prophetic word from God has now expanded into a Christ-centered, Spirit-filled, international ministry. In the fall of 1992, Bishop Knox became the founder and president of Living Word Christian Center Kingdom Academy, a Christian school that trains and educates with academic and biblical excellence while imparting the concepts and principles of the Kingdom of God. In 1996, Bishop Knox founded the Kingdom Network of Churches International (KNCI), an extension ministry of Living Word Christian Center, consisting of networking churches and ministries joined in a spiritual bond of fellowship with LWCC. KNCI was birthed and established for the purpose of co-laboring to build Christ's Church and extending God's Kingdom throughout the earth – transforming communities, impacting cities, and discipling nations with the gospel of the Kingdom of God. 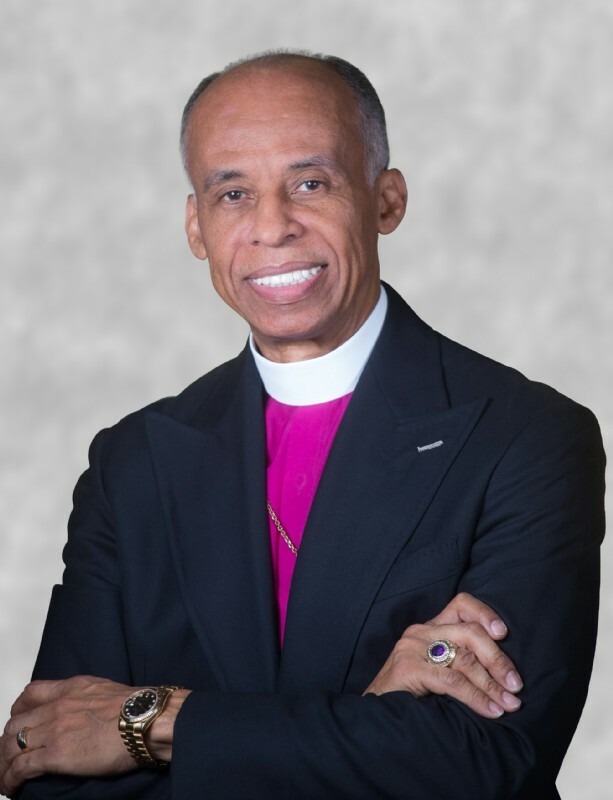 Bishop Knox currently provides apostolic oversight for pastors and congregations throughout the United States and abroad. In 2005, former President George W. Bush invited Bishop Knox to the Washington National Cathedral to represent Alabama during the National Day of Prayer and Remembrance for the victims of Hurricane Katrina and the Gulf Coast area. After his return, the Lord placed a fresh stirring in the heart of Bishop Knox to see unity among the churches of Mobile and surrounding areas in a corporate expression of Christ. As a result, Opportunity for Unity Ministry Network (OFU) was birthed. OFU invites Mobile Bay Area Senior Pastors who have a burden for unity to fellowship, pray, build solid relationships and demonstrate Christ's Church to the world. Networking churches work together for the good of the entire city, transcending denominational, racial, and cultural barriers, "Rich in diversity, yet unified under the banner of Christ." Bishop Knox presently serves on the College of Bishops of the International Communion of Charismatic Churches (ICCC). He was instrumental in providing co-leadership for the ICCC, helping the organization transition after the passing of the late Archbishop David R. Huskins to the Presiding Archbishop Kirby Clements of Decatur, Georgia. This network now represents over 4.2 million people and growing. In a collaborative assignment, Bishop Knox and his wife Pastor Delia Knox, anointed Psalmist and Teacher, have a ministry of in depth revelatory teaching and preaching the Gospel of the Kingdom, ministering hope, healing and a passion for God's Presence. Bishop Knox's degrees include a Doctorate of Ministry, Master's and Bachelor's degrees in Biblical Studies, and an A.S. in Business Administration.